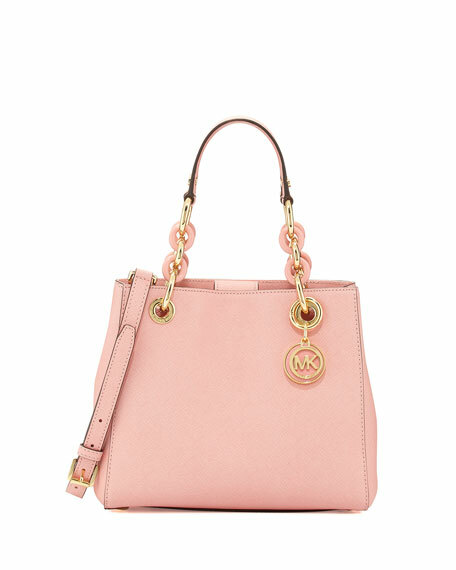 MICHAEL Michael Kors saffiano leather satchel with golden hardware. Removable, adjustable shoulder strap, 19" drop. Zip through center compartment divides interior. 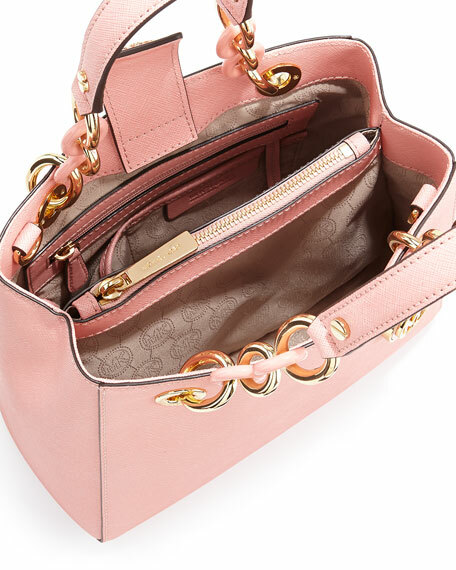 Inside, logo jacquard lining; four open pockets and one zip pocket. 8"H x 9.5"W x 4"D.
For in-store inquiries, use sku #213772.